The Jewish leaders replied [to Pilate], "By our law [Jesus] ought to die because he called himself the Son of God." 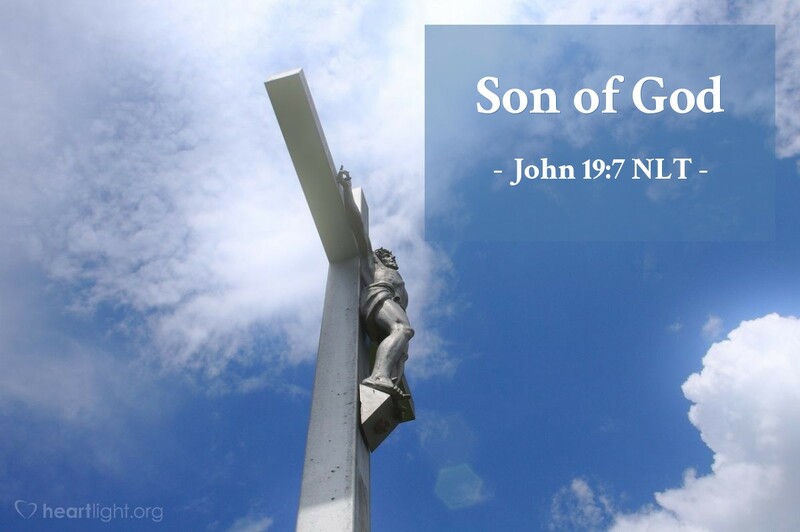 We often have a hard time hearing Jesus specifically make the claim to be "the Son of God." Yet it is made carefully and repeatedly in the Gospel story. Jesus often referred to God as his Father. He accepted the title of Son of God when others gave it to him, except on some occasions when the others were demon possessed. He answered "yes" to the question, "Are you the Son of God?" The Gospel of John wants us to make a decision about Jesus — either he is a madman or God's Son. Those are our two choices. If we don't choose the latter, then we assume the former. What's your choice? Who do you believe Jesus is? Lord Jesus, I believe that you are the Son of God, that you left heaven to deliver me from sin and death, and that one day you will return to earth to take me home to your glory. Thank you! Amen.